Fatherhood Involvement Team | Maui Family Support Services, Inc. While almost any man can father a child, there is so much more to the important role of being dad in a child’s life. Kane Connections began on the Islands of Maui and Molokai in 2005, and is currently approaching a decade of service to the fathers and families of these islands. . Trained MFSS Kane Connections facilitators provide 1:1 support using Nurturing Fathers Program (NFP) during home visits, and/or groups using 24/7 Dads. NFP is an evidence-based, 12-week course designed to teach parenting and nurturing skills to men. Each 2 ½ hour session provides effective skills for healthy family relationships and child development. 24/7 Dads is also evidence-based. It is the National Fatherhood Initiative’s flagship fatherhood curriculum and is taught 2 hours per week over a period of 12 weeks. Our facilitators also provide fathers with skills to increase their child’s literacy. 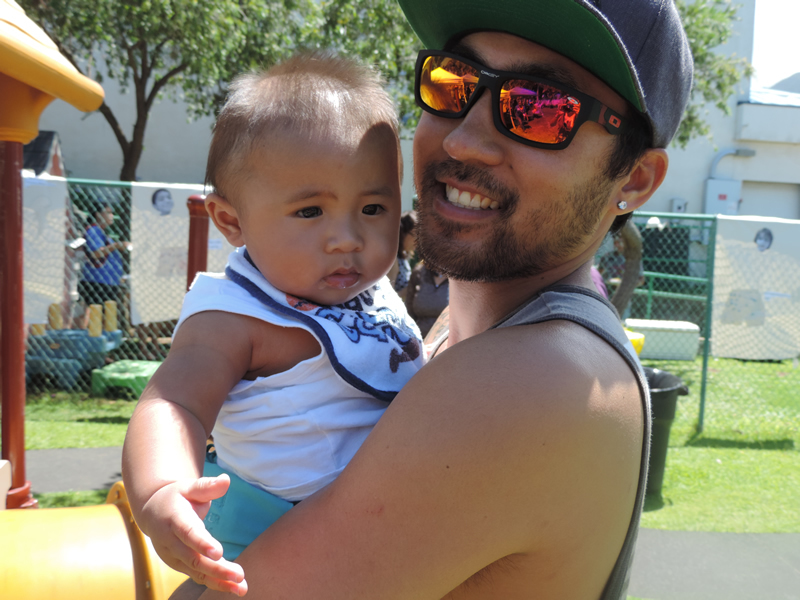 In June of 2016, the MFSS Kane Connections program hosted the 10th Annual Celebration of Fathers at the Univerisity of Hawaii Maui College Great Lawn. The event highlighted the importance of fathers, male role models and caregivers in the lives of their children with over 300 in attendance.